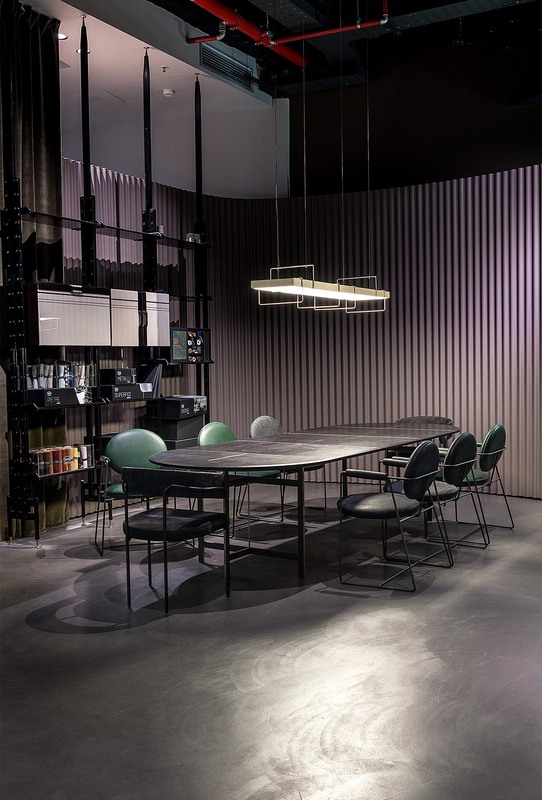 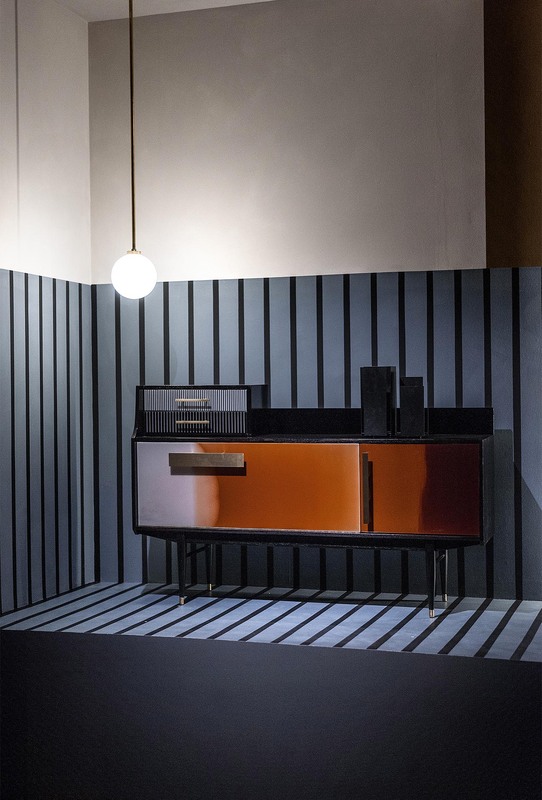 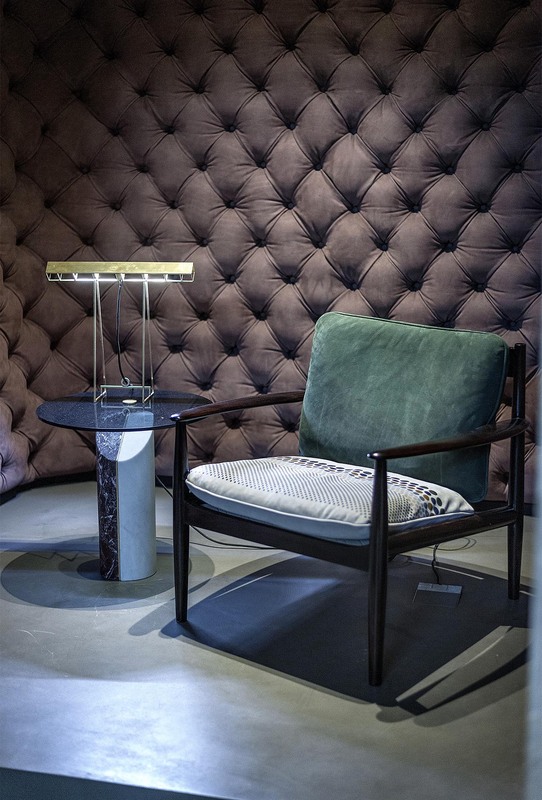 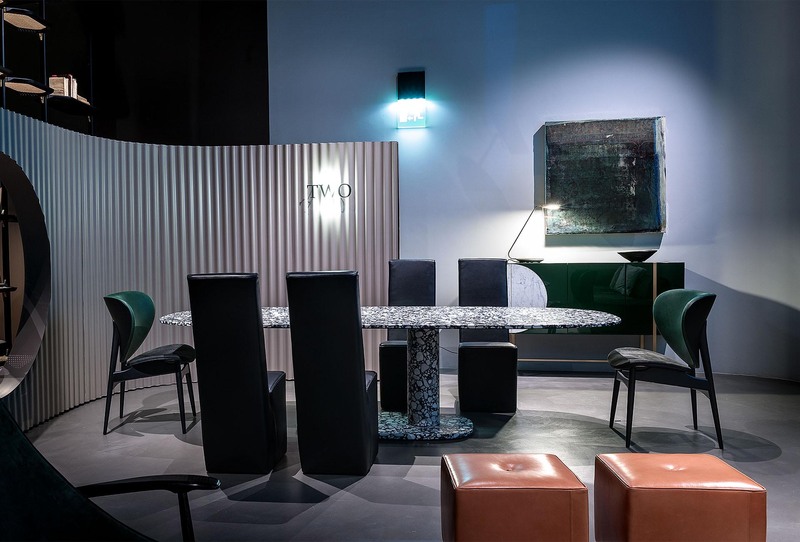 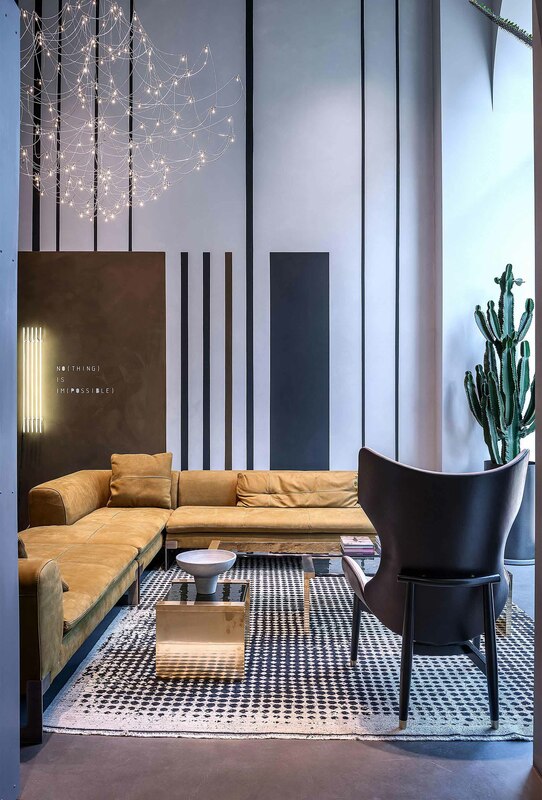 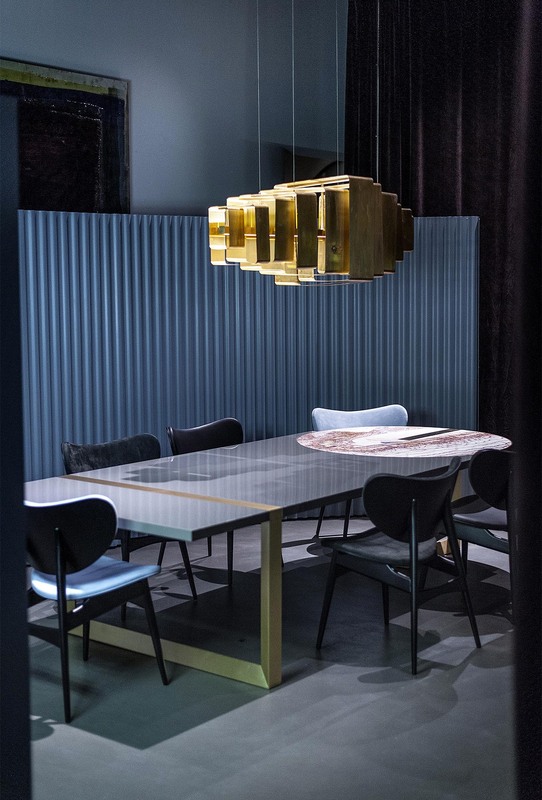 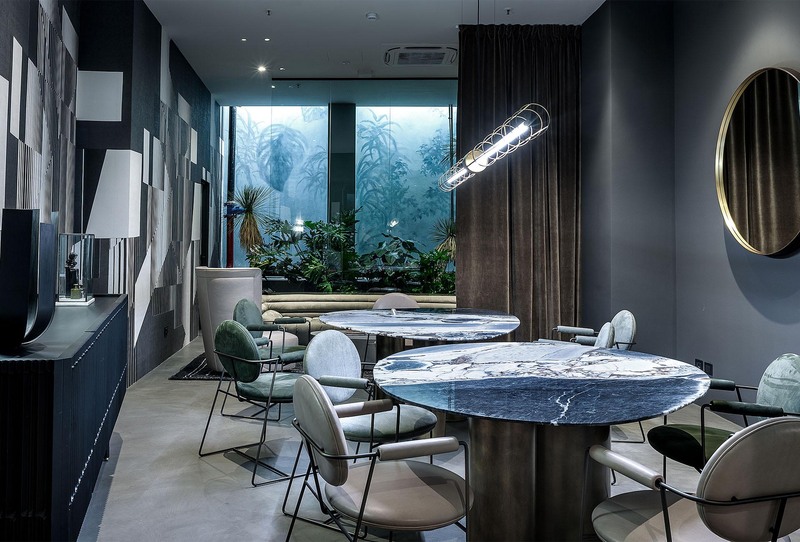 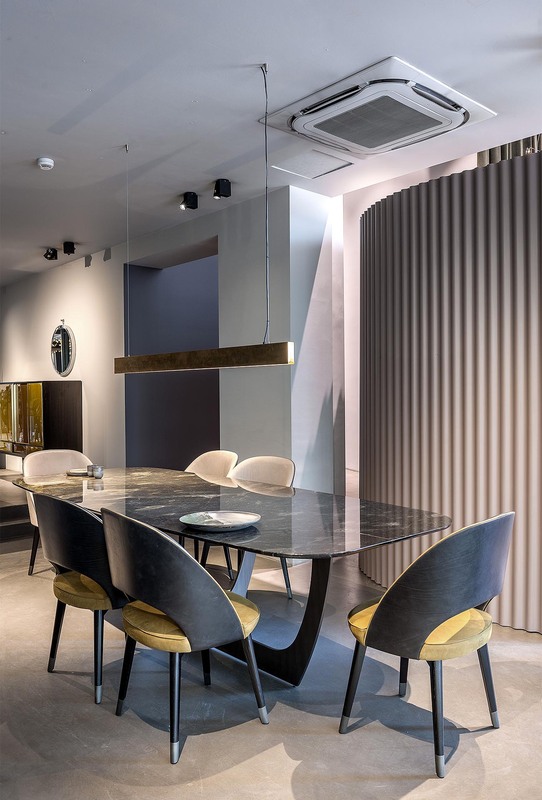 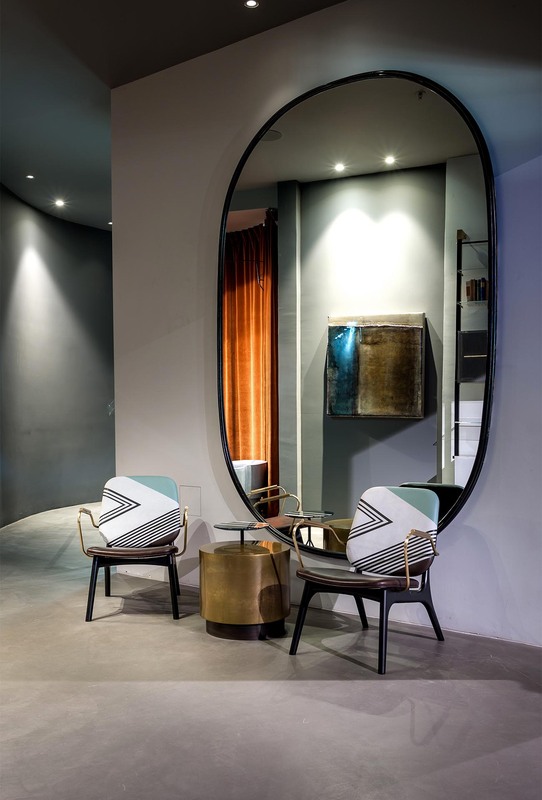 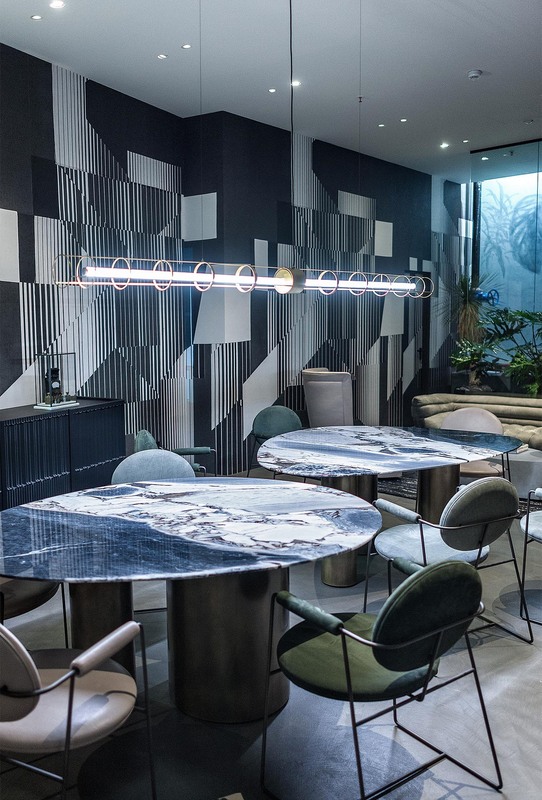 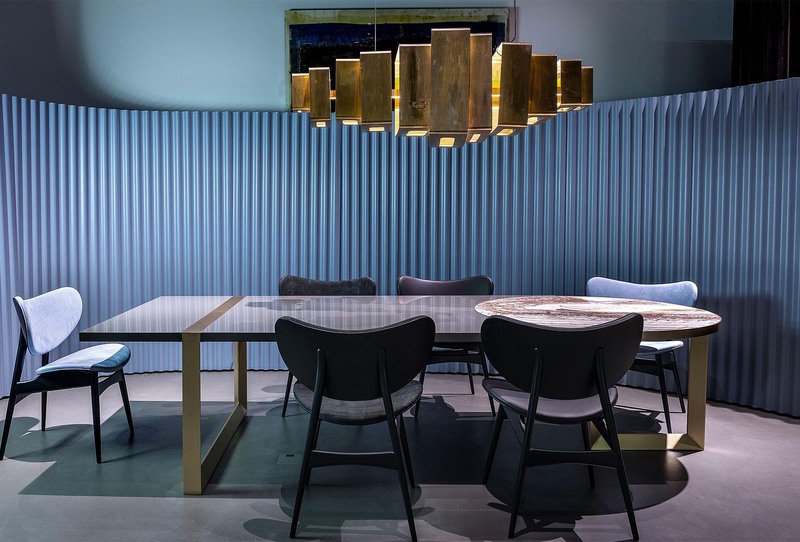 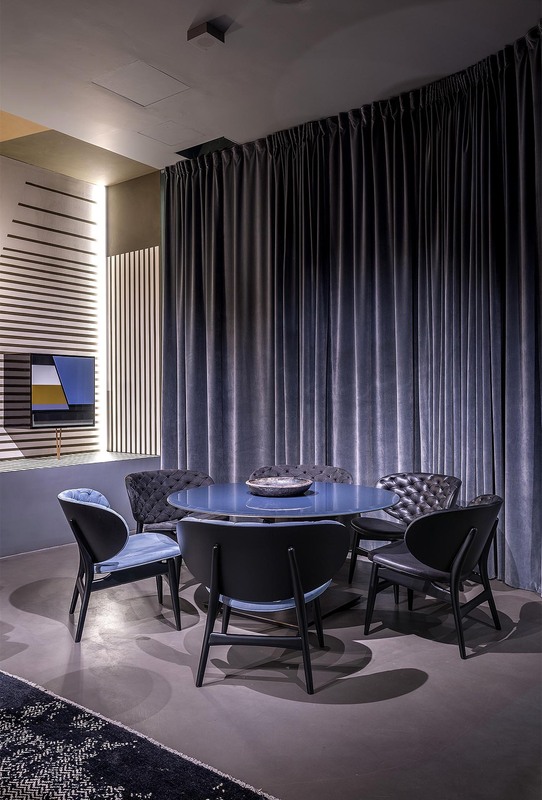 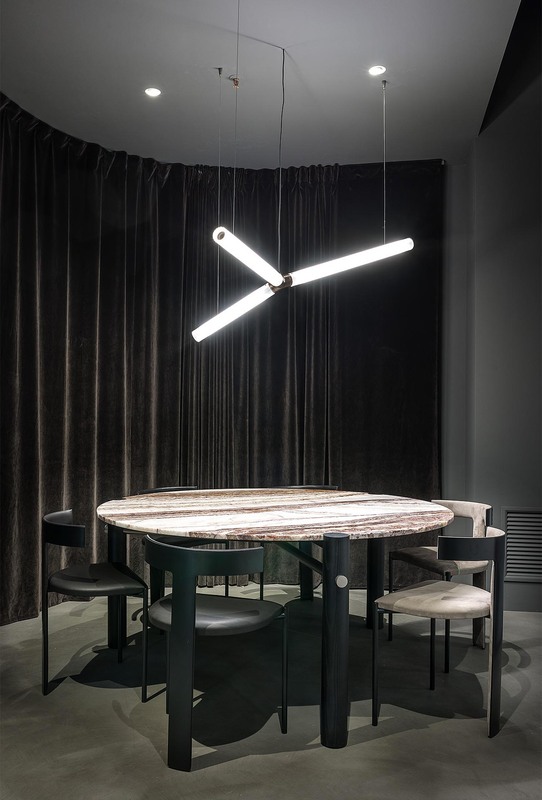 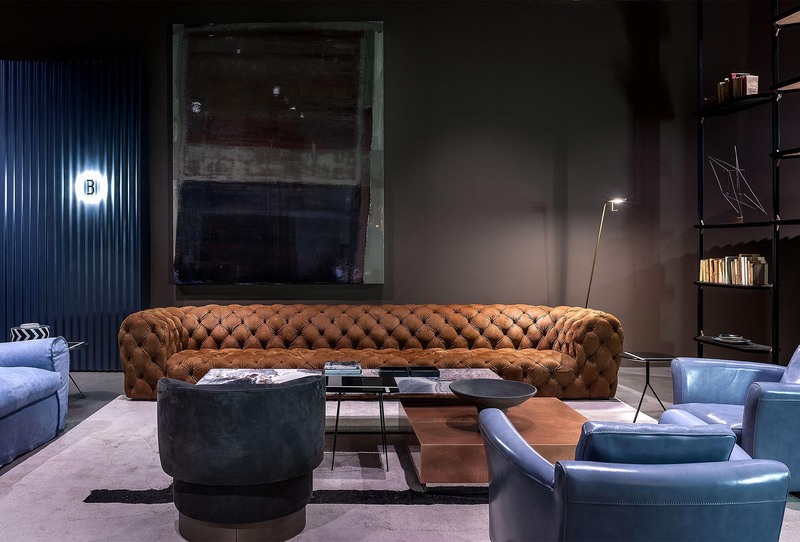 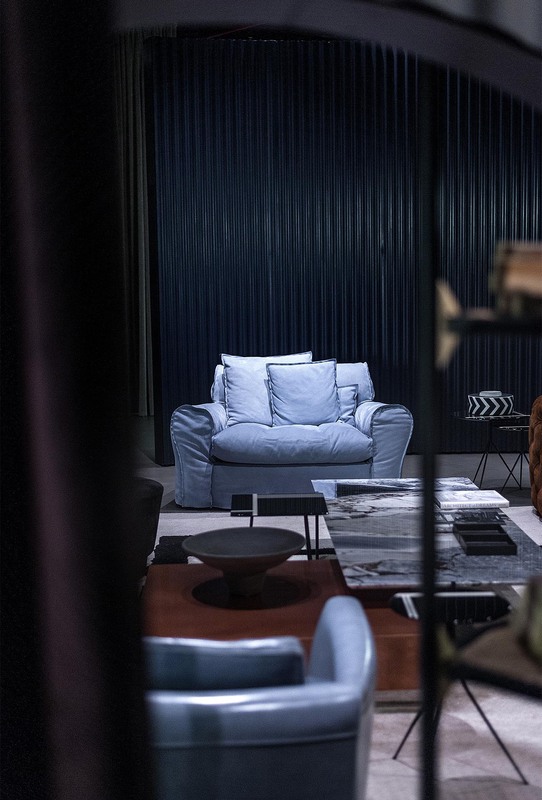 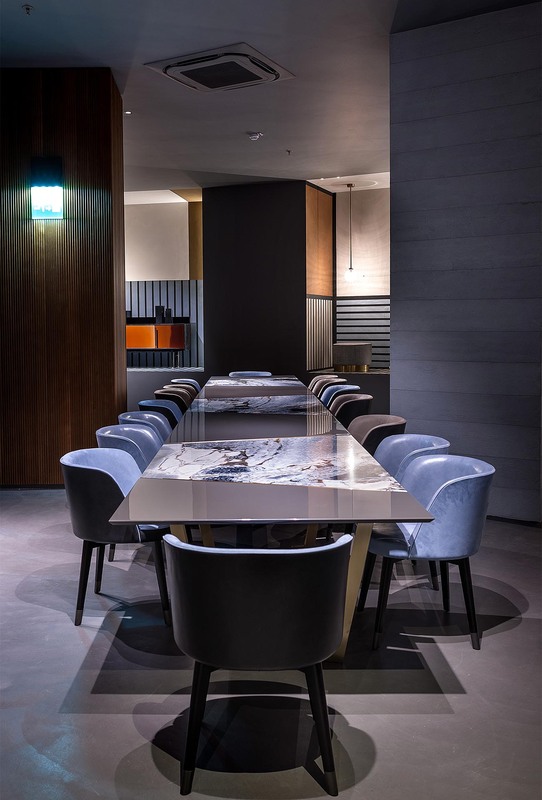 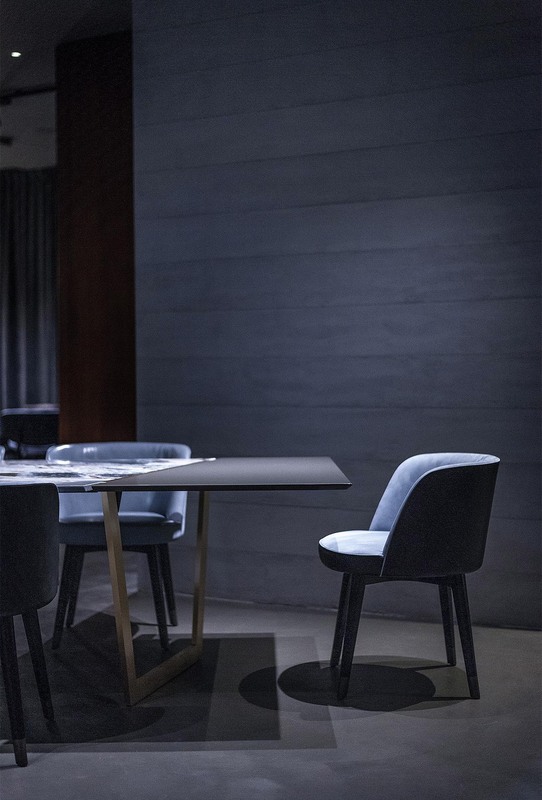 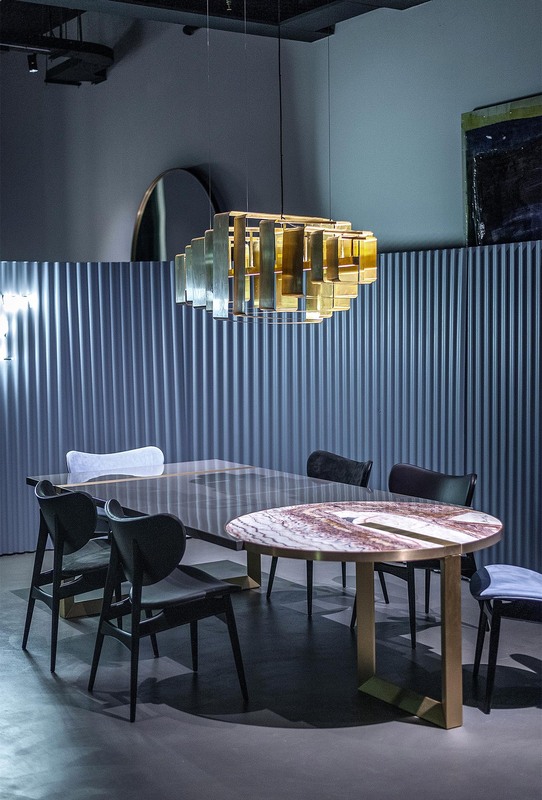 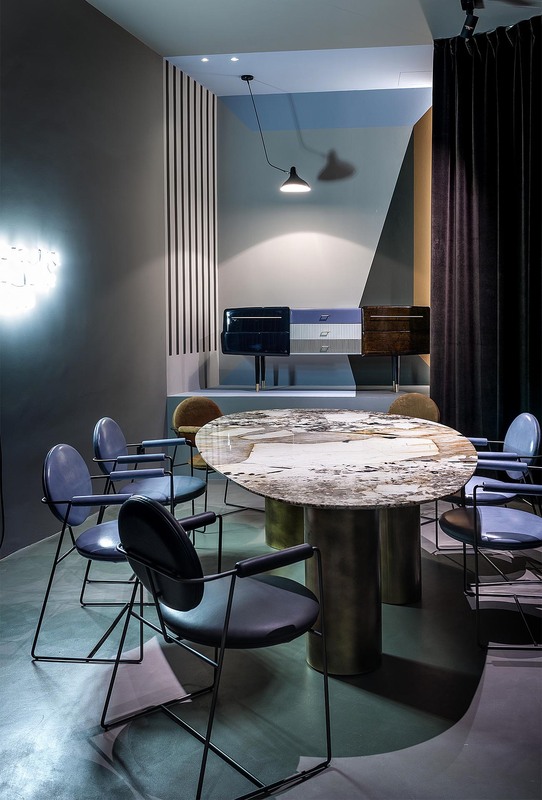 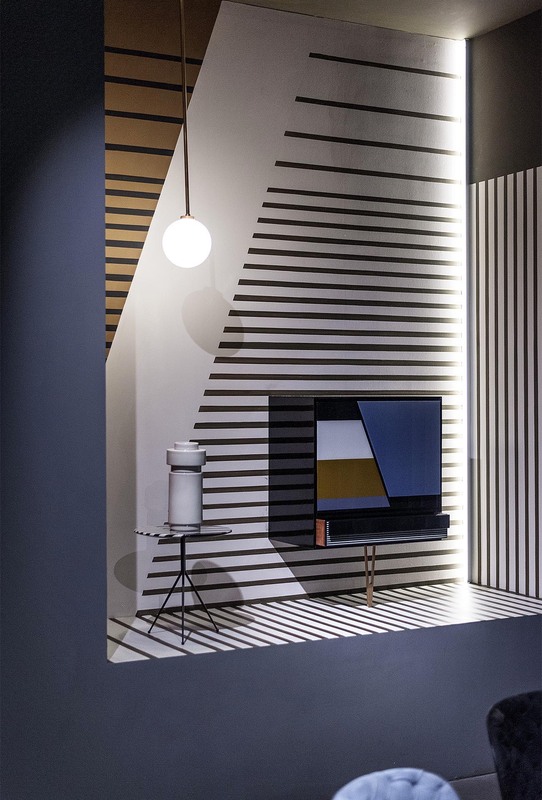 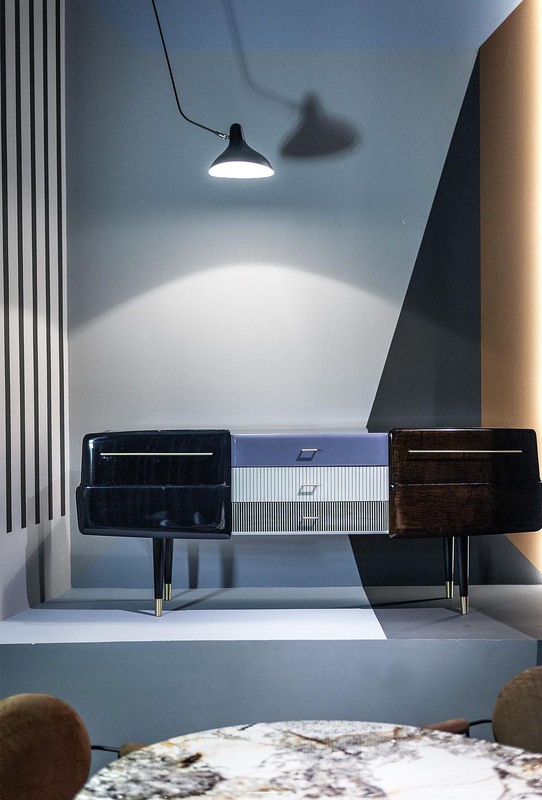 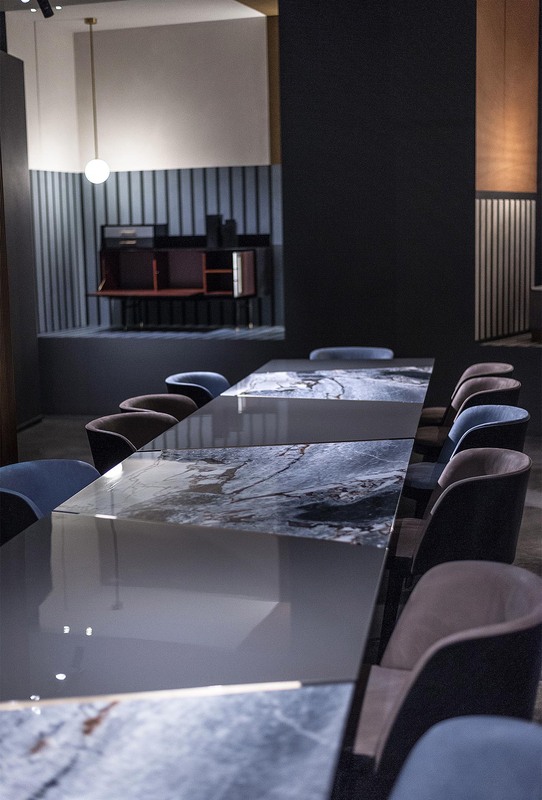 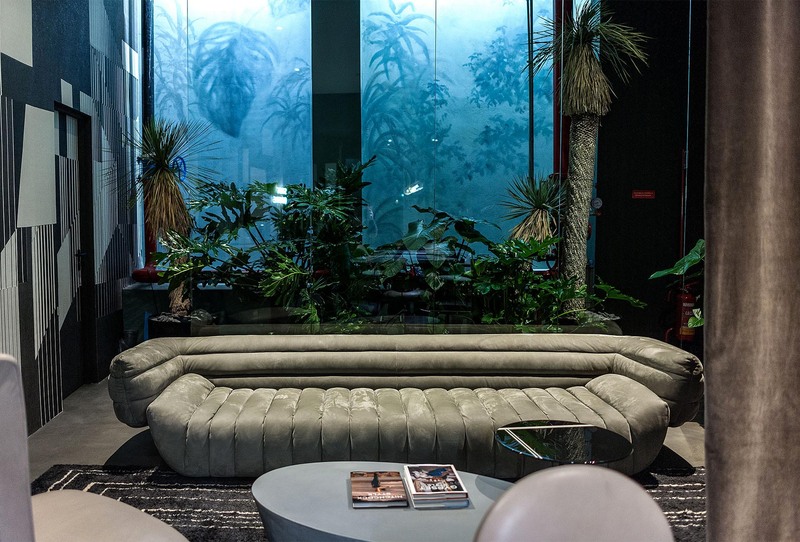 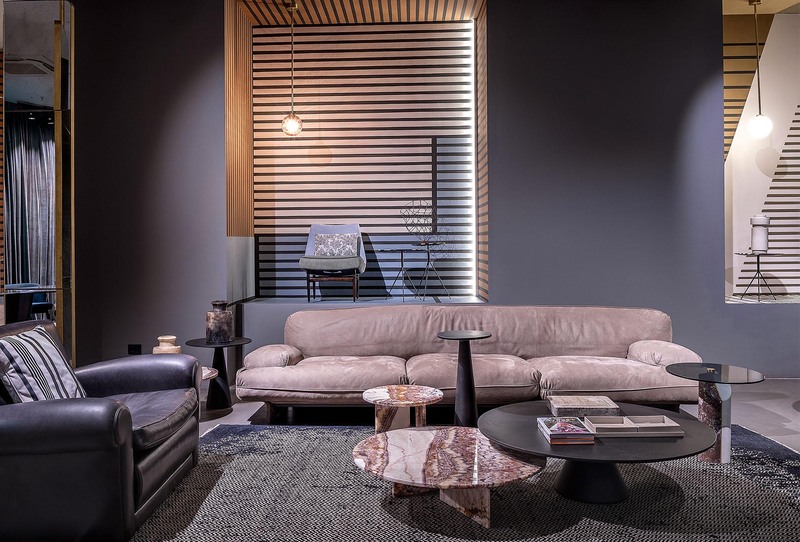 The Fuorisalone by Baxter on the occasion of the Milano Design Week is at the Baxter Cinema, where this year the new 2018 collection will be staged in a real theater set-up. 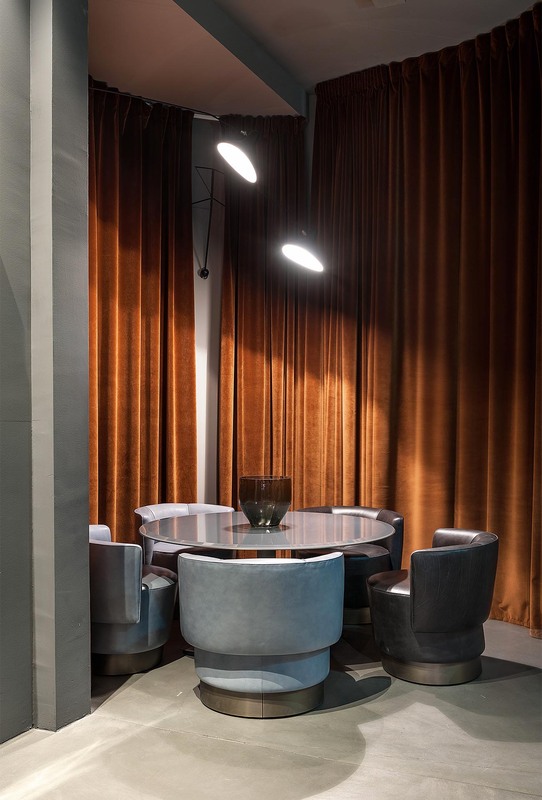 Just like in a show, large wings accompanied by velvet curtains separate the various sets in which domestic settings are proposed. 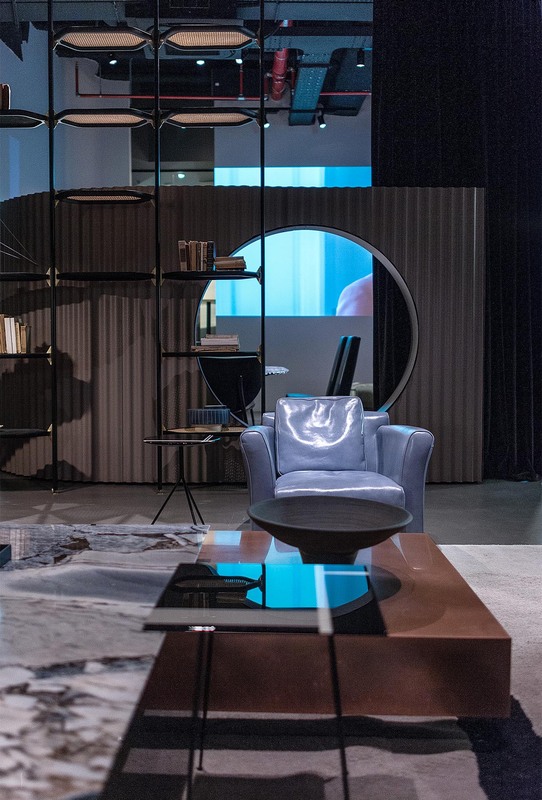 The "possible" houses are the scenographies in which the guests will move, that in a game of mirrors, will turn from simple spectators into protagonists themselves of the performances. 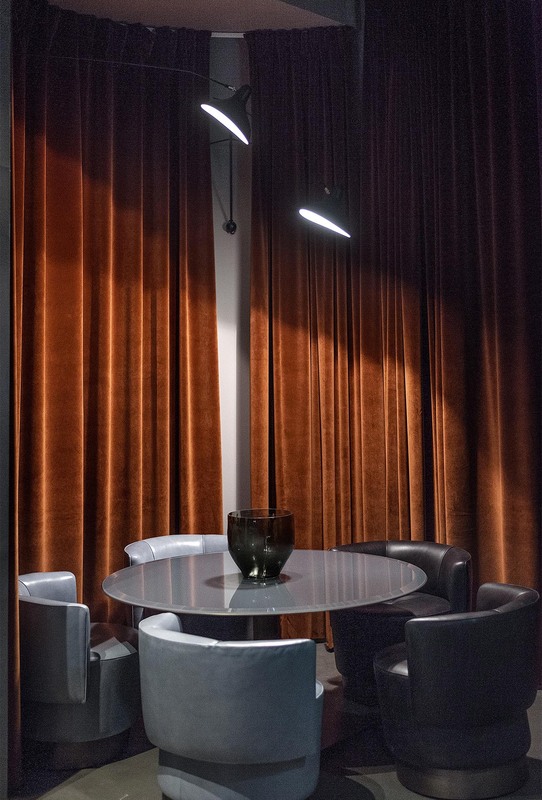 The conviviality in all its forms is the common thread that binds the staging and also the script on which we will write the acts of the comedy, each time different, set on comfortable sofas or more formal armchairs, around large dining tables or entertaining coffee tables. 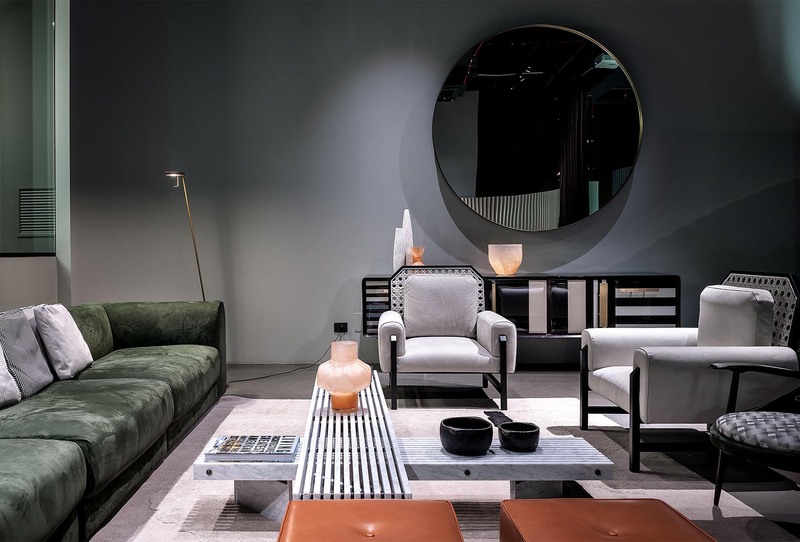 To each of them his its scene. 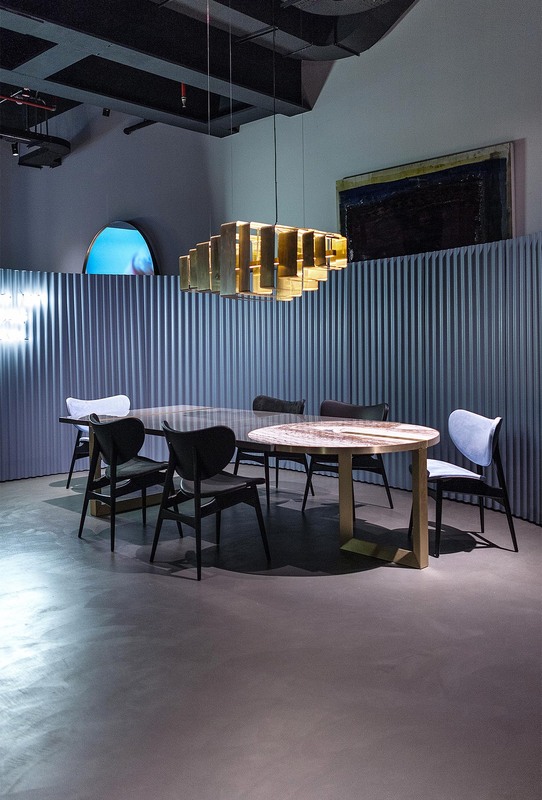 To reinforce the idea that guides the exhibition at the Salone, Baxter does not want to propose a style but an atmosphere, indeed many atmospheres. 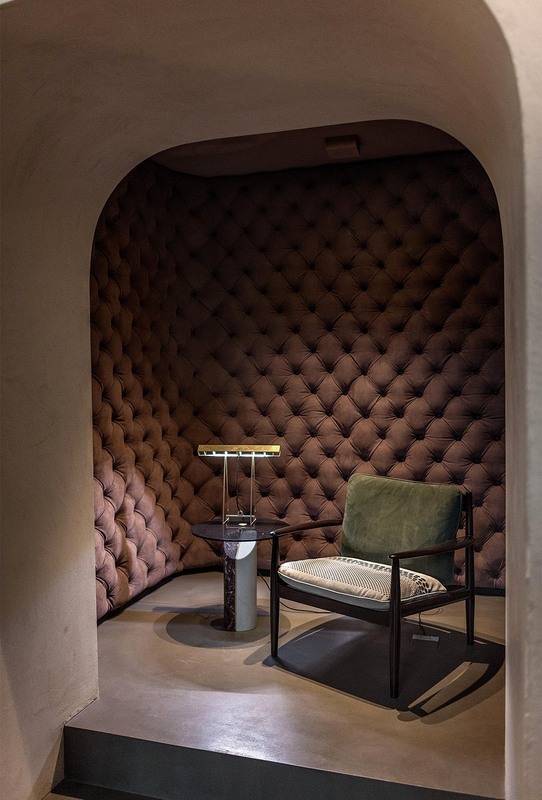 Spaces are not aseptic exhibits of objects, but they are places with a story to tell, that speak through an unusual alchemy of colors, materials and different eras. 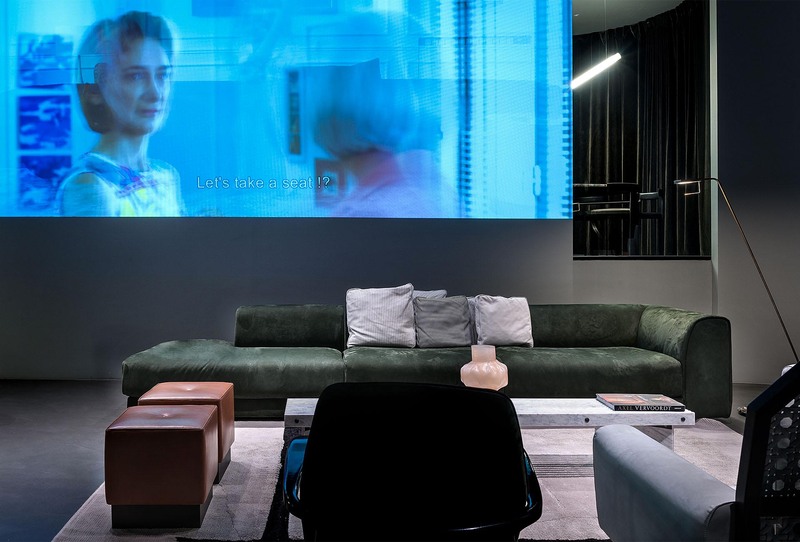 The recovery of what was once the President cinema, a symbol for the city of Milan of elegance and comfort, and today a multitasking and dynamic space, acquires value thanks to an exhibition that offers domestic landscapes to live, dynamic visions of contemporary living that offer the possibility to the guests to feel pleasant emotions. 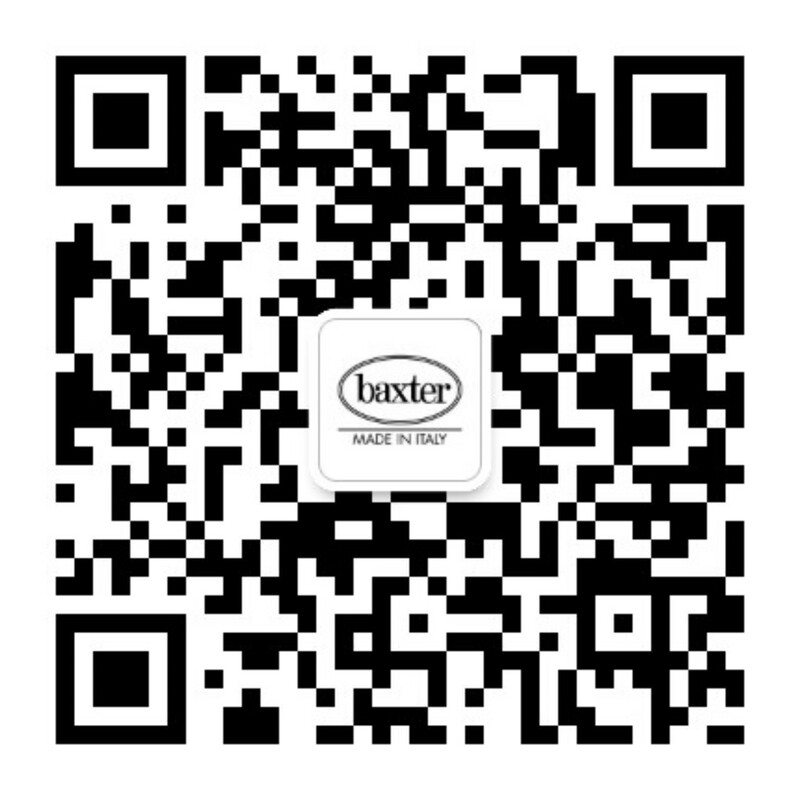 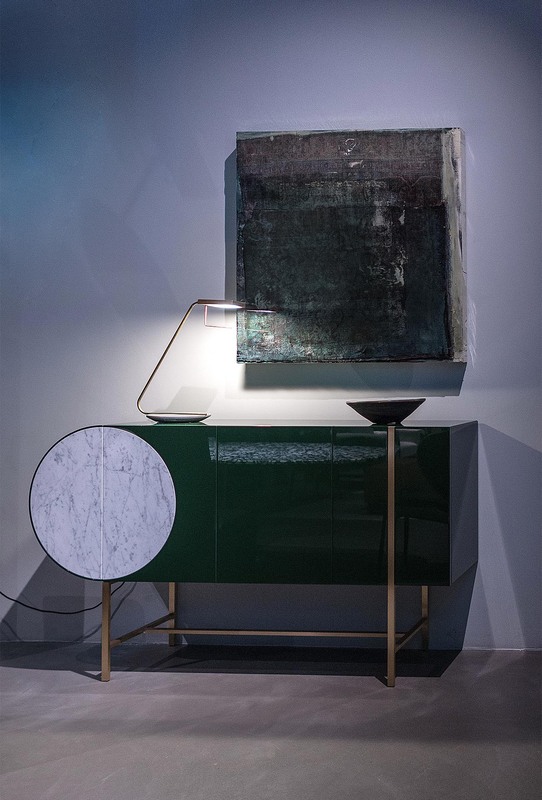 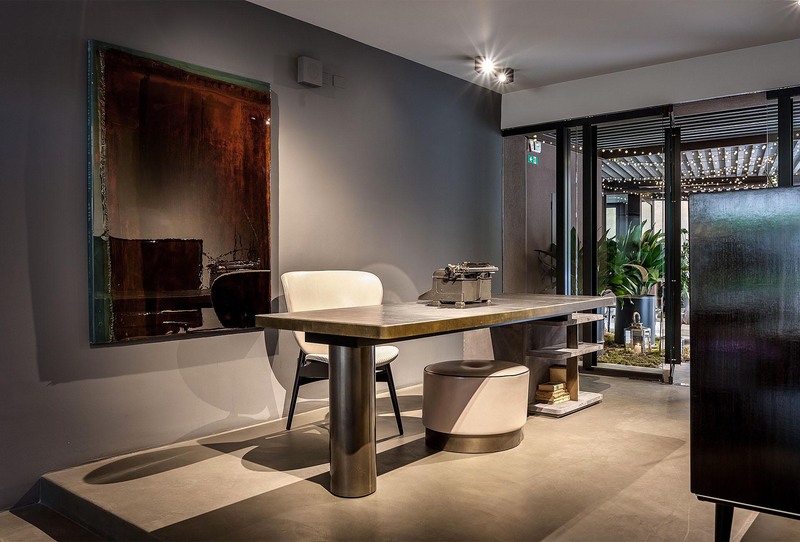 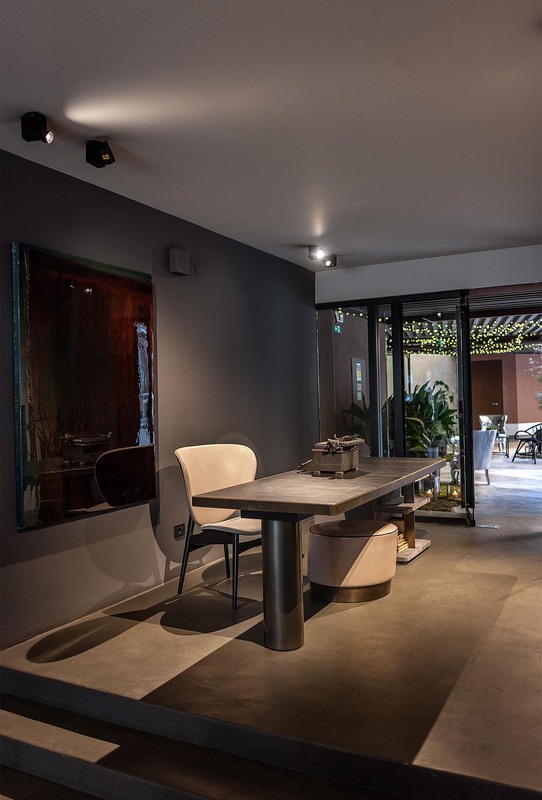 Starting from the design furniture, through the installation and the events, the link between the company, the designers and the customers wants to turn into something special, the environment becomes more intimate and the experience of entering the "Baxter" world becomes more real.